Children will be able to make environmental arts and crafts projects for free. Come and interact with live butterflies in their habitat in our Butterfly House or let the Master Gardeners take you on a tour of our beautiful Butterfly Garden. Watch a family friendly stage show, take a ride on the train, or get your face painted. Have your portrait drawn by a caricature artist, take a spin on the human gyroscope ride, or take pictures like Hollywood star at our Golden Globe-styled step & repeat banner. 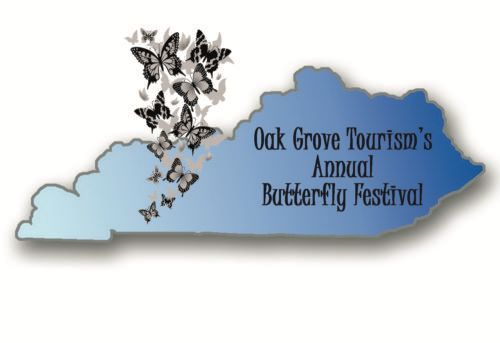 The Oak Grove Tourism Butterfly Festival is one of the most popular events in the region. 2019 will mark the eleventh year for the annual festival, and word has spread quickly about this fun, free, educational event. There is something for everyone to See, Do, and LEARN! There are free, nature focused arts and crafts for the children to create and take home. Head out to 101 Walter Garrett Lane and join in all the free family fun at the 11th annual Oak Grove Tourism Butterfly Festival!